Tomorrow will mark the second anniversary since the Grand Theater in Knoxville was reopened following its closing in 2012. Executive Director for the theater Sean Skeehan tells KNIA/KRLS News the people who volunteer the most, whether everyday or every week, those are the people that make running the theater viable and those are the people he wants to thank the most. 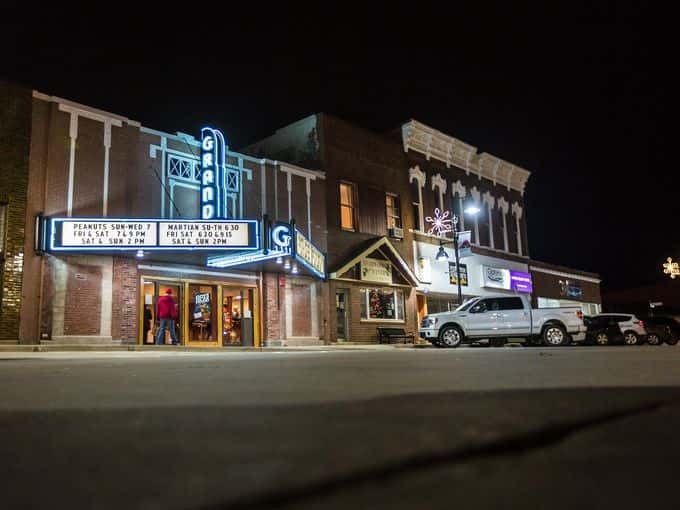 Since the theater reopened in 2015 over 60,000 admission tickets have been sold with over 132 feature length films being screened. To celebrate their anniversary the theater will be giving ticket holders at each movie a complimentary small popcorn starting December 1st and running through December 7th. Additionally, there will be movie posters and gift certificates randomly given away at each movie.